If you check your blood sugar in a forest and no one's around to record it, does it make a sound? But the point is that health information is meaningful only when observed and interpreted. Consider all the data generated when people with diabetes check their blood sugar over and over, day after day. While the numbers are of course useful to the people doing the checking, they'd reveal a whole lot more if someone else was keeping an eye on them too, looking for anomalies and trends and keeping people healthy during all the time they're not directly observed by doctors or other clinicians—which is to say, most of their lives. That's the thinking behind Livongo, a digital platform for managing chronic conditions. 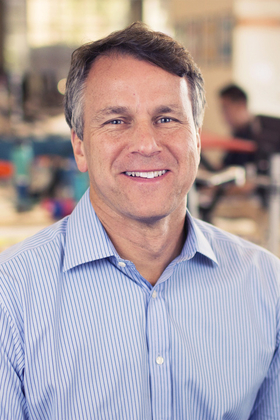 “For the first time, we're using real-time data paired with information technology to give people actionable information that makes their lives better,” said Livongo CEO Glen Tullman, a former CEO of Allscripts. A smart glucometer sends readings to Amazon Web Services' cloud. If something's awry—say, a patient has low blood sugar and also reports not feeling well—one of Livongo's coaches will follow up with a phone call to check in and suggest small steps to fix the situation. “It used to be really hard for people with diabetes to stay healthy,” Tullman said. “You have diabetes all the time, but you only see your doctor every once in awhile.” So his company came up with a way to keep an eye on people with diabetes whenever they check in digitally, with information from readings sent to whomever patients want and integrated into electronic health record systems, including some made by eClinicalworks, Cerner Corp. and Allscripts. Patients get the service—which includes unlimited test strips—either through their employers' plans or through $65-per-month memberships. INNOVATION: Livongo collects data from glucometers and blood pressure cuffs, keeping an eye on patients and encouraging good habits to produce healthy measurements. STATUS: The company recently began working with the American Heart Association to expand the service to blood pressure monitoring. Livongo studied workers at two self-insured employers using Livongo. 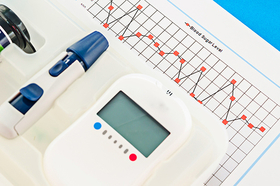 Patients at the companies had about 1% lower HbA1c levels. The employers also saved around $83 per member per month on their healthcare costs, according to Livongo. Overall, people diagnosed with diabetes spend about $7,900 every year on the condition, according to the American Diabetes Association. Now, Livongo is expanding to high blood pressure, using the readings from connected blood pressure cuffs to give people advice about how to stay heart-healthy. Information comes from the American Heart Association, whose “network of innovators” includes Livongo. The partnership reflects the association's push to deliver information to patients in nontraditional settings. “People live their lives mostly outside of clinical settings,” said Patrick Wayte, senior vice president for the heart association's Center for Health Technology & Innovation. “There's such a remarkable and horrible overlap between diabetes and hypertension,” he said, citing that 71% of people with diabetes also have cardiovascular disease. With the new blood-pressure capabilities, if Livongo's algorithms notice that a person's blood pressure is high for consecutive days, the system will suggest a physical change to help reverse the trend. “We want to change the behavior in very actionable ways,” Tullman said. That could include encouraging medication adherence. And the more someone checks his or her blood sugar and blood pressure, the more information Livongo has that it can mine for trends, including whether medications are effective. “We're really trying to optimize medications and lifestyle components,” Schneider said.